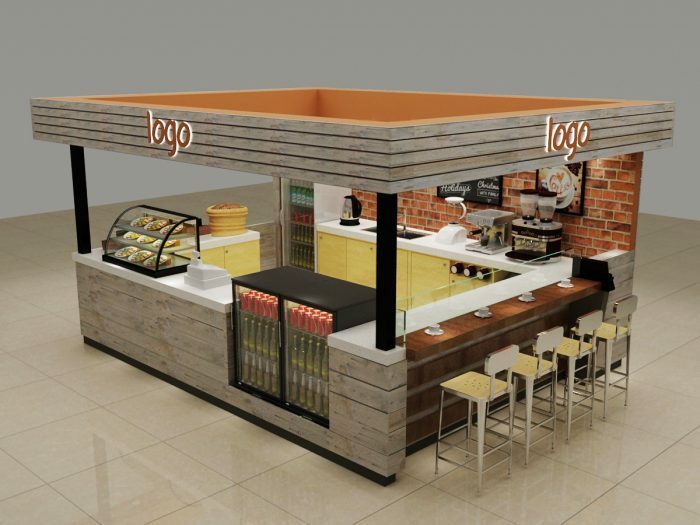 A fashionable coffee kiosk, a high-end coffee kiosk, a multi-functional coffee kiosk. hello, dear friends, how is every things going? 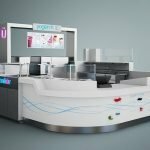 are you looking for a coffee kiosk, if yes, I want to introduce you a fine coffee kiosk. hope you will love it. OK, let us see its detailed descriptions first. Main material : MDF, wood and so on. Then let us see some images of our coffee kiosk. 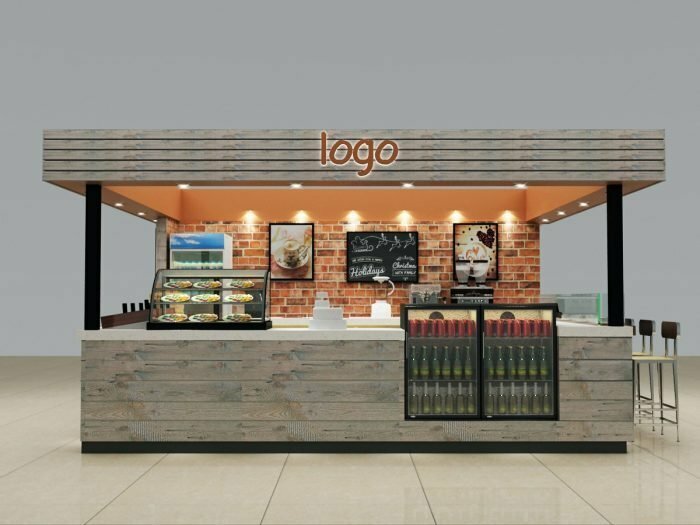 The coffee kiosk has a brown table for custom, in front of it is a showcase for desserts and a cabinet for drinks, there is a place for cold drinks behind the coffee kiosk, in other words, the kiosk can be used to sale desserts and cake, also can be used to sale drinks, very practical, there are many cabinets in its interior, you can put many things.color is a low profile brown and fashionable grey, of course, if you want to other color, we will custom-made for you. more pictures of our coffee kiosk. 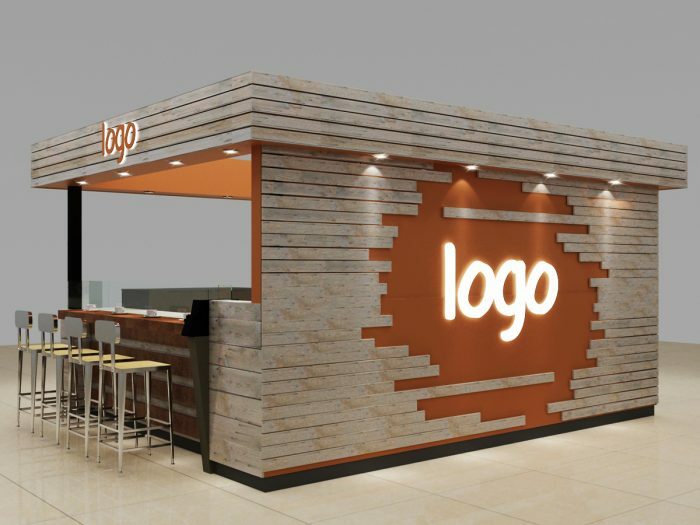 we can see, there is a unique design behind the coffee kiosk, very beautiful, if you want to put other logo on it, we will try our best to put them on it. 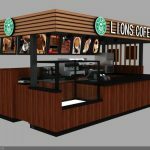 the coffee kiosk has exquisite workmanship, perfect layout, unique design, durable material, all right specification. 1,Our custom-made design for you. 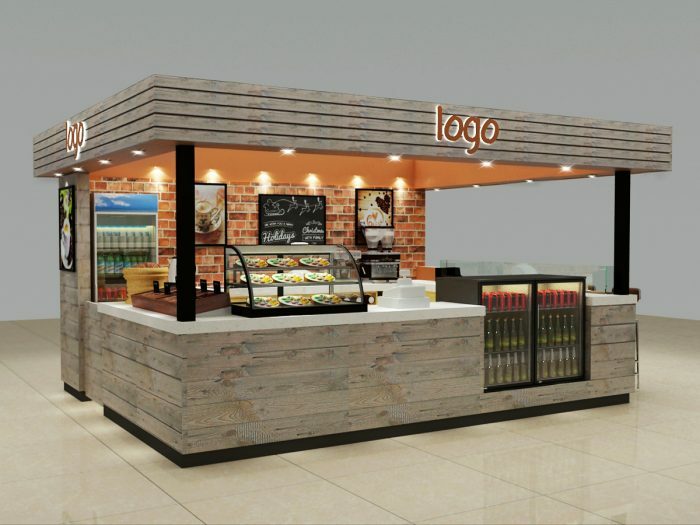 you can tell us the size you want, the color you want, the style you like, we will according to your ideas to make our design, if you have any question with our coffee kiosk, we will correct it until you satisfied our design, we really will custom-made it for you. 2, The price of our coffee kiosk. 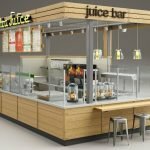 one, we will sale you good quality coffee kiosk, and we will not charge you too much. two, we are direct manufacturer. We offer the cheaper price than the trading company. three,comparing with the industrial company, we can provide more competitive price. 3, what should you do to get our coffee kiosk. First, you should contact us, tell us the color you want, the size you want, the style you need, then we will according to your ideas to make a design. Second,if you have any question with our design, we will correct it until you satisfied our design.if you have not any question, we will begin to make it. Third, we will take photos during production to let you know the progress, but you need to wait some time before we finish it. 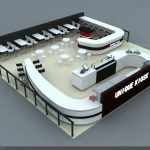 At last, if you want to know more information of our coffee kiosk, please contact us, we will respond you at first time, at the same time, thanks for your reading, hope your business will be better.